After reading The New York Times Magazine piece James Patterson Inc. by Jonathan Mahler, I’ve been a bit blue. Though Mr. Mahler did a wonderfully diplomatic job of presenting ‘the Patterson empire’, I personally struggled to find merit in Mr. Patterson’s utterly neon approach to our world of literature. To be honest, I have only read a few of Patterson’s titles and knew virtually nothing about the man prior to Mahler’s article. Lacking substance, I simply wasn’t interested in what I believed to be Patterson’s formulaic approach to storytelling. Not off the mark, the article reports that Patterson admittedly “considers himself as an entertainer, not a man of letters” and is quite frank about being “less interested in sentences now and more interested in stories”; an unsurprising fact considering his torrential flow of work. Regardless of Patterson’s outrageously extensive publication list, I hesitate to use the term prolific in its warm, traditionally gifted context. Rather, I now perceive Patterson’s voluminous outpour as an all-consuming tidal wave which sadly, in its wake, leaves emerging voices strewn upon the fast receding shores of the book industry. Already under the threat of potential collapse, it seems Mr. Patterson has procured for himself the perfect catch-22 within industry walls. Cuffed by the push for higher profits, publishers are now forced to maximize promotion of their heavy-hitters, ultimately leaving a slim trickle of pennies for divergent talent. Not only is this a devastating trend for passionate, range-seeking readers like myself, but even more so for an upcoming generation of aspiring writers. But let’s face it, Mr. Patterson is an ad man and sales are his game. Ever clever, Patterson has apparently surrounded himself with a team of regular co-authors to shore-up his work and drop it in the slick chute of what is fast becoming a monopolized industry. 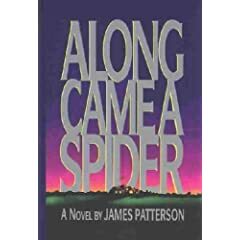 Can Mr. Patterson really question why other writers don’t acknowledge his contributions when he has launched himself into an entirely singular literary orbit of mass production? I may be naive but I am not a hater, and while it seems like I am lashing out at James Patterson it is actually more my perception of what he represents: the forfeiture of sincerity for monetary gratification. When I read, I hold the belief that the writer’s choice of words is a careful, selective process approached with the thought of enhancing an age-old craft. My belief was that an author worked from the inside-out and not the other way around in hopes of amassing greater profit and turnout. So, perhaps you now see why I have been a bit blue and feel a bit cheapened. Though I appreciate the glimpse behind the door of the big house, I suppose Mr. Mahler’s article has stripped away a layer of my now endangered literary innocence. And, while we can attempt to justify Mr. Patterson’s assertion that his work gets people reading, we can’t deny that the literary bar is depths lower because of it.